Inclusion on the RLMM list marks a key step in EWT’s entry onto the Indian market. Delhi/Chennai, 14 February 2019. The Ministry of New & Renewable Energy published a Revised List of Models & Manufacturers (RLMM) on 31 January 2019 including therein Emergya Wind Turbines India Pvt. Ltd. and its two wind turbines models now marketed in India – the DW58*1MW and DW61*1MW. Inclusion on the RLMM list marks a key step in EWT’s entry onto the Indian market, which started in 2018 with the incorporation of Emergya Wind Turbines Pvt. Limited and the opening of an assembly facility near Chennai in Tamil Nadu. With capacity to assemble up to 100 sets of hubs and nacelles annually, the assembly facility plays an important role in EWT’s ambition to supply turbines in India. The Indian assembly facility is a mirror image of EWT’s assembly facility in the Netherlands, ensuring strict compliance with EWT’s quality control- and IEC type certificate requirements. The DW58*1MW and DW*1MW wind turbine generators have a nominal capacity of 1 megawatt (MW) with a rotor diameter of respectively 58 meters and 61 meters. The DW58 and DW61 are available with hub heights of 46 and 61 meters. With no gearbox, these DIRECTWIND wind turbine generators have fewer rotating components than a standard wind turbine, further reducing the number of moving parts and delivering significant reductions in maintenance and repair costs. Even in harsh, remote locations, EWT DIRECTWIND turbines operate with high availability, delivering dependable and stable performance in the toughest weather conditions from high temperatures to freezing cold. 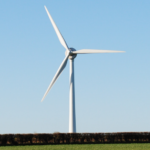 Their size also makes them ideal for remote locations where logistics or regulations may restrict the size of wind turbine generators that can be installed. The EWT Group with its headquarters in the Netherlands, is a manufacturer of direct drive wind turbines in the sub 1MW range, marketed under the brand name DIRECTWIND. EWT’s vision is to be a driving force for a clean energy future by enabling companies and communities across the world to switch to renewable energy to cleanly and cost-effectively satisfy their energy needs. The EWT Group is active globally. Its head office is based in Amersfoort, the Netherlands and it has a blade factory located in Enschede, the Netherlands. The group currently has offices in India, the Netherlands, the United Kingdom, Italy, Turkey, Greece and the United States, with local service teams present in all these countries.